Every business, regardless of size or industry, uses some form of packaging in their daily operations. Whether you need protective packaging to keep items safe in transit to your customers, you need to shrink wrap products together or create wrap labels, or you need to band together paper and materials for easier handling; packaging is a requirement. And using the proper packaging is a must, as it can make an impression on your customers and the way that your business is presented. From January 15th to 23rd, 2019 we're giving you 10% off all packaging products with the promo code 10PACKAGING. At Binding101 we offer a select variety of packaging products that could work great for your business needs. Below you can review our most popular options and get some inspiration for how you can use these packaging solutions for your specific business requirements. You can also click here to shop our full variety of packaging machines and supplies or call us at (866)537-2244 (866)537-2244 if you need something that you don't see. Proper packaging is an essential if you have a business that ships to your customers; it is the first impression your client gets when they open the box. If there is a lot of empty space without proper void fill protection, the first impression is negative. Plus, you run the risk of your item being damaged during transit, which can lead to costly returns and replacements. 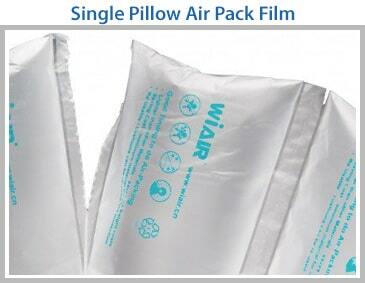 Protect your products, and leave a good impression with your customers by investing in an air packaging system. They are affordable, fast, and can make a huge difference on your costs by preventing damage and showing your customers that you care. Using an air cushion machine with roll film can also save you a ton of storage space, as you only fill up the cushions as you need them. Standard bubble wrap that is pre-filled, which takes up much more space. 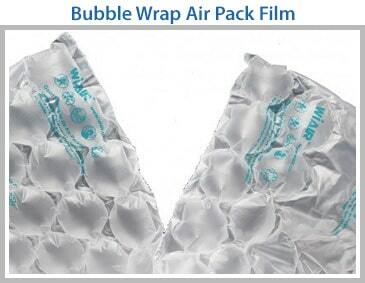 On average, 1 roll of air cushion film will package the same amount of products as 10 large rolls of bubble wrap, all packaged in a small, convenient box. Air cushions are also incredibly lightweight, so they don't add noticeable shipping cost increases, which you and your customers will thank you for. Don't risk harming your relationship with your customer and potentially preventing future orders with a damaged product due to poor packaging. 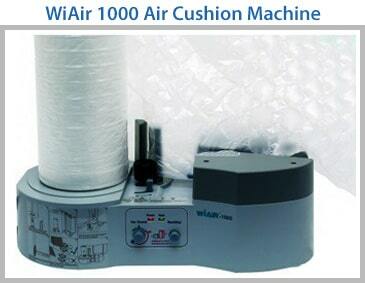 Use an air packaging machine instead, and secure your and your client's investment quickly and easily. Shrink wrapping is a process that wraps a special plastic material around a product, and then heats it up to actually shrink the plastic film to create a form-fitting finished wrapped product. Literally every industry uses packaging products, and shrink wrap packaging is one of the most popular types. With a good shrink wrap machine and a high quality shrink wrap film, you can create a professionally wrapped items that can withstand heavy handling and shipping, as well as an impressive and clean display. Our selection of shrink wrap machines includes bag sealing equipment and manual or automatic bar sealers to suit every need or application. Shrink wrapping is an excellent choice for businesses that require professional packaging at an affordable price. 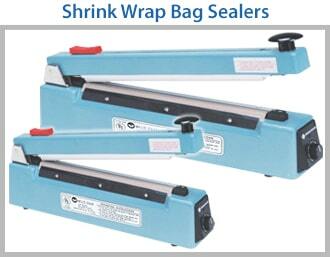 Shrink wrap bag sealers are designed to quickly and easily seal retail bags and other products. These versatile sealers feature a straight edge that melts plastic and binds it to itself, creating an air- and water-tight seal. 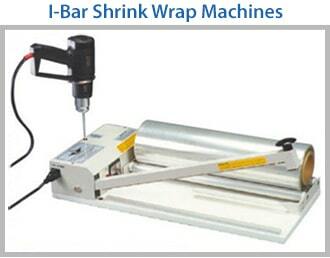 I-bar shrink wrap bar sealers offer a compact and convenient solution for shrink wrapping and bag sealing applications. They come with a heat gun to shrink your wrap around your product. 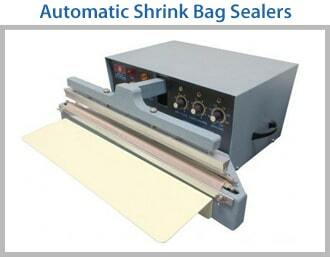 Automatic sealers accommodate large applications. Automatic machines feature foot pedal operation, electric timers, and more. 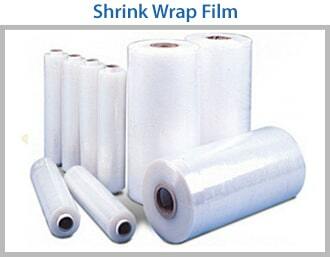 In addition to shrink wrapping equipment, we also offer the top-quality shrink wrap film on the market, available in both polyolefin and PVC options, both of which are available in different gauges (thicknesses) so you can find the perfect film for your needs. Polyolefin shrink wrap film is preferred by industry specialists because it produces a crystal-clear and eco-friendly result that does not emit any odors or fumes. Polyolefin film stays taut and wrinkle-free, but it is also puncture-resistant and provides a strong seal memory for rebinding purposes. PVC shrink wrap film, on the other hand, is more affordable and can be used to wrap oddly shaped items or custom menus. Whether your goal is to create a professional packaged product that adds the finishing touch to your materials before sending them to clients, or your putting together gifts for vendors, our assortment of the top-quality shrink wrap film and wrapping machines are sure to fit the bill. Our competitive pricing, detailed product descriptions and photos, and unmatched customer service make us the best value on the web.Our selection of shrink wrap packaging products is the perfect place for you to fulfill all your shrink wrap needs in one convenient place. By choosing us as your shrink wrap packaging supplier, you can protect all kinds of packages and projects from dirt, moisture, and so much more for just pennies a piece. Our courteous and professional staff is here to help you every step of the way. 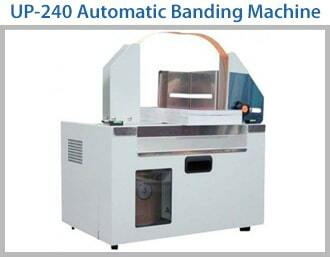 What is paper banding? 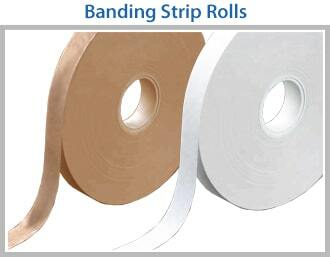 Banding is a form of wrapping of materials that holds them together, making them easier to handle, transport, and store. 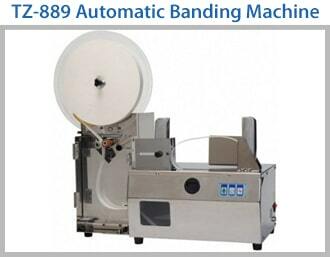 Also called bundling or paper taping, banding is done with a long strip of sturdy paper that is wrapped and sealed (or tied) around your material using a special paper banding machine. 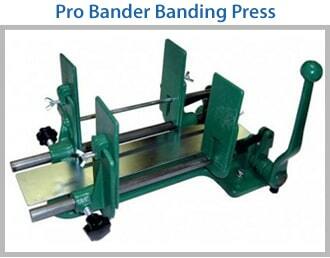 This machine can be a handheld press, or an electric or more automated solution. Paper banding creates a visible stripe of color across your material, so can also serve as additional marketing with a printed banding strip (sometimes called a belly band). Depending on the size of your stack to bundle, you may want to add a single banded strip, a double, or more. Benefits of paper banding: Simple, fast, easy to remove, ability to custom print (marketing opportunity), wrap large stacks of material, won't damage your fragile edges or corners, can reduce packaging costs (less expensive than a box or bag), efficient to increase productivity, makes handling, transport, & packaging easier. Popular paper banding applications and ideas: bundling magazines, bundling brochures and literature, bundling business cards, bundling mailers and postcards, with printed bands: market a new product or service, with printed bands: highlight a specific sponsor. * Offer Exclusions: Promo code must be used during ordering process and cannot be applied to any order after it has been placed, shipped, or delivered. This promotion cannot be combined with any other promotions, discounts, special quotes, bulk pricing, clearance items, or other special offers. Available only while supplies last; no layaway available. This offer is valid for orders placed between January 15-23, 2019 only. Offer subject to change at any time. Void where prohibited by law.